This year’s Wimbledon has been one of full of shocks especially in the men’s draw with Wawrinka and Novak Djokovic falling in the first week. Yesterday in the semi-final we saw, the greatest player of his generation Federer also head for the exit doors following a brutal encounter with Raonic who played an absolutely blinding game. Milos Raonic becomes the first Canadian to play in a Grand Slam final when he takes on the British number one Andy Murray on Centre Court. Murray has had a very routine tournament so far following a reunion with tennis idol Ivan Lendl prior to his sixth title at Queens. Murray dispatched with former finalist Berdych in straight sets. Murray and Berdych share a handshake following Murray’s victory. The in-form Scot looks destined to win his second title at Wimbledon due to all the biggest challengers Djokovic, Wawrinka, Federer, Nishikori, Cilic all gone without a trace. Murray is the heavy favourite for tomorrow’s match up but he will be wary of the Canadian and his powerful service game that gave Federer some real problems. Murray knows how big the stage is for him tomorrow and he also knows for any other match at any other tournament this tie would be routine. 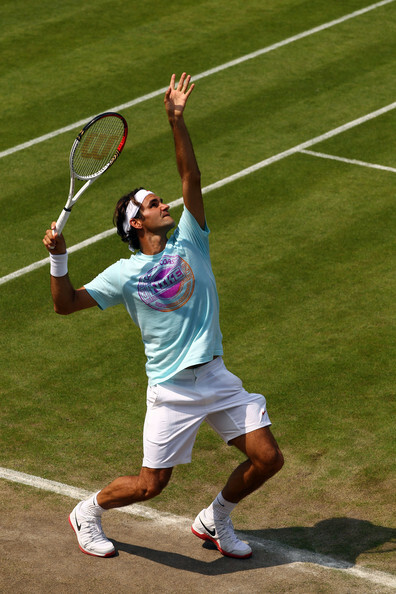 He also knows this is a Wimbledon final, he is the overwhelming favourite and he has to perform. That pressure does not make the task easier. The ball looks to be in Murray’s court, if he can hit the winner remains to be seen. This entry was posted in Uncategorized, wimbledon and tagged berdych, centre court, final, grand slam, lendl, murray, Novak Djokovic, queens, raonic, serve, stan wawrinka, wimbledon. Bookmark the permalink. Can Slammin Sam Win Wimbledon? Yesterday saw the most dominant tennis player in the world at the moment beaten and well beaten by American Sam Querrey. It took the challenger just four sets to overpower world number one, Djokovic. The unthinkable became reality. Court One stunned by this thrilling encounter the power of Querrey decimating the invincible, ever present aura of Novak Djokovic. Of course this strange result leads to British number one Murray becoming the favourite to win at Wimbledon. Of course nothing is guaranteed though and Querrey will have some tough matches ahead if he wants to play in the final including a likely semi-final meeting with third seed Federer. Querrey has already achieved something few players will ever achieve beating a player at the very top of his game. The 28th seed has some real pedigree and knows how to win on grass having formerly won Queens. With the second week in Wimbledon secured a tough draw could well see the American crumble but you wouldn’t bet on it having him play Frenchman Nicholas Mahut in the next round. Sam Querrey will play Mahut in the fourth round. 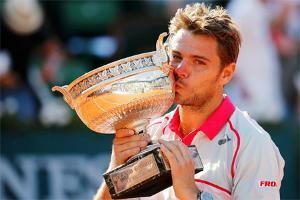 Of course the loss of Wawrinka and Djokovic at this early stage could set the scene for the likes of Raonic. Cilic and Nishikori to advance to later stages of the competition than they would be used to. Querrey will fancy his chances though of at least making the last four if his powerful serving game and forehand can stay at the level they reached to defeat Djokovic. A ;evel that you though would have to drop at some point. Querrey’s victory comes on a year that has seen underdogs excel, Leicester City won the Premier League, Wales are in the semi-finals of the Euro’s and England rugby won a series in Australia. A fantastic year of sport would be fittingly capped off if the American can work his way into the most prestigious of finals. This entry was posted in Uncategorized, wimbledon and tagged american, djokovic, federer, grand slam, mahut, Novak Djokovic, querrey, slammin sam, summer, wawrinka, wimbledon. Bookmark the permalink.